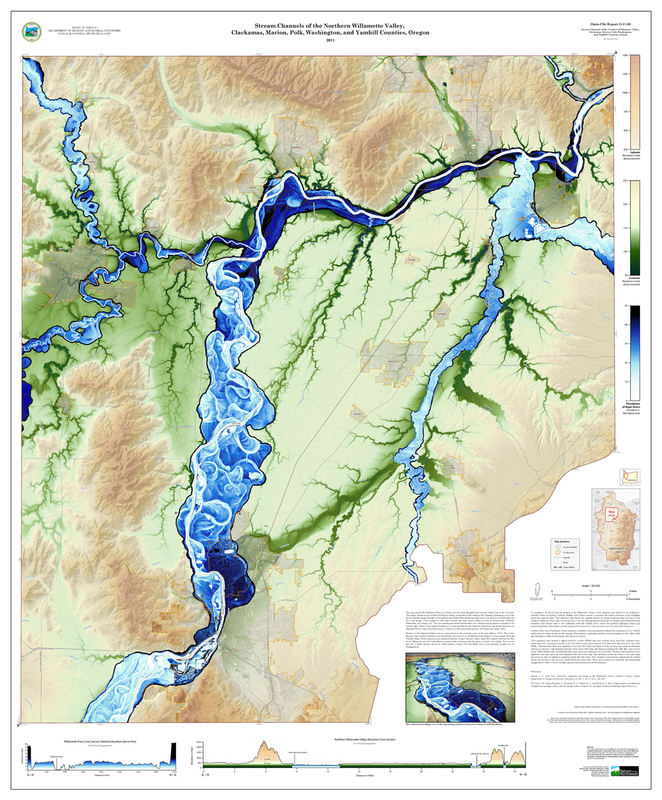 Project: This map of the Northern Willamette Valley was created to show the myriad of the historical stream channels that can be visualized using lidar data. 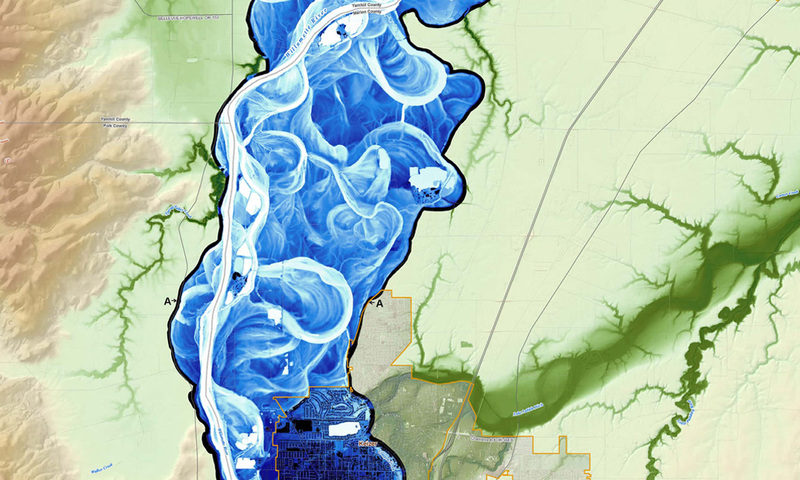 To emphasize the fluvial features present in the Willamette Valley, a blue gradient was applied to a height above river (HAR) raster of the Willamette, Yamhill, Pudding, Molalla and Tualatin River floodplains. This enhanced view shows the complex history of channel migration that has occurred in the Northern Willamette Basin since the Missoula Floods blanketed the valley floor in sediment during the last ice age. Outside of the major floodplains, colors represent a standard elevation gradient fading from cool greens in the lowland areas to warm oranges in the uplands.